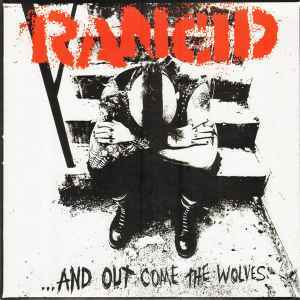 The third studio album from Rancid. It is their most successful album to date, receiving platinum status in the United States and gold in Australia and Canada. Punk Rock or Punk Pop was a big argument about the 90s punk scene. Rancid were always more Rock. The Basline to 'maxwell Murder' was great. Some of the songs were even Ska. Does anyone have any idea as to why tracks 15-19 are not pressed on this release? It is something that always bothered me since this was released in 2004. The original LP release has every track on one disc, why not this one? Are picture discs made different than a standard LP? I love picture discs, but the missing tracks are a major deal-breaker for me. I also lack the original copy to compare it to. I'd agree, this pressing sounds really good. I have had a rash of bad pressings lately, this is not one of them! Next to no surface noise, really strong sounding record. I feel like the bass guitar is a little more pronounced than I remember on CD or MP3. I like it, it rounds out the sound. Great pressing. I kind of wish I had found the gold one, even if I do think gold is ugly. But with my issues with colored pressings lately, it's just as well. I LOVED this record in my skate days, and though I didn't get way into punk rock, this has remained a favorite record for me. Have to agree with @skullnstars, this is a brilliant sounding pressing. Beautiful gold wax, and a cool poster to boot. Turn on, turn up, and give em (your neighbours) the boot! Agreed! This pressing sounds amazing, and this is a must-own record if you're a fan of the golden era of punk rock! I've seen this version is limited to 1500 copies. Can anyone confirm. My copy sounds stunning, its a great pressing. Don't buy it overpriced here.